Columbia University Press, 2016. 233 pages. $65.40, hardcover. Nadya Hajj's Protection Amid Chaos: The Creation of Property Rights in Palestinian Refugee Camps, though modest in length, contains information from over 200 interviews conducted with Palestinian refugees from seven camps over a span of eight years. 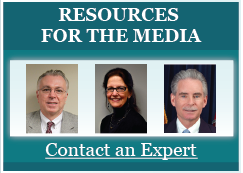 How and why did property rights develop in these transitional settings? Hajj arrived at this central research question after interviewing a former member of the Nahr al-Bared (NBC) Palestinian refugee camp in Lebanon. NBC was destroyed in 2007 after Lebanese military forces clashed with the radical militant group Fatah al-Islam. One man expressed his fear that after returning to NBC after its reconstruction, he would no longer "own" his home as he used to in the old NBC. This comment led to Hajj's discovery of property titles in refugee camps all across Lebanon and Jordan. Over the course of four trips to Lebanon and Jordan between summer 2004 and June 2012, Hajj concluded that in a transitional space, communities will seek protection in the face of chaos. By establishing informal or formal property rights, refugee communities protect their assets and resist co-optation by the state. These communities establish property rights by responding dynamically to the shifting political and economic landscape, and by choosing certain communal traditions and values to adapt to these challenges. In order to reach these conclusions, Hajj interviewed business owners, members of camp committee offices, local camp historians, legal experts, lawyers, religious elders, the old and the young, and residents from a variety of political leanings. She also relies on legal title documents, memoirs, UNRWA archives, and interviews with UNRWA and NGO personnel. Hajj makes comparisons to other communities living in transitional spaces and concludes with recommendations for the Palestinian communities trapped in Syria. The most important function of her book, however, is not in its far-reaching applicability, but in its firsthand, personalized accounts of the reality of life inside Palestinian refugee camps in Lebanon and Jordan. The most common word that Palestinians used to describe early life in the refugee camp community was fawdah, or chaos. The Arab-Israeli war of 1948 forced tens of thousands of Palestinians to flee to refugee camps in neighboring countries. Hajj depicts a diverse picture of refugee life by focusing on three camps in Jordan and four in Lebanon that differ in dates of establishment, refugee background and exposure to shocks. She breaks her case studies down into three sections. First, Hajj examines how Palestinians brokered agreements with the Jordanian government to create a formal system of property rights. Second, she discusses the Palestinians' negotiations of property rights with Fatah in camps across Lebanon. Third, she describes how Palestinians in NBC established a system of property rights with the Lebanese military after the camp was destroyed and then reconstructed. To preface these analyses, Hajj traces the organic formation of informal property rights in camps across Jordan and Lebanon. Following 1948, camp conditions were dismal. UNRWA supplied resources to meet basic human needs, but there was no one to administer the transfer of resources after they were delivered. Slowly, businesses began to grow by way of remittance funding from family members working abroad. These businesses were established through informal notions of property rights. It was "understood" where one person's business ended and another began. If disputes arose, concepts of family and tribe, and shame and honor, were employed to foster a reconciliation. Communities formed in these refugee camps employed social policing and community vigilance to provide stability amid chaos. Tribal leaders, family elders and the religious elite settled disputes without involving the state. This was a means to keep control in the hands of the Palestinian community and to avoid co-optation and predation by the state. Palestinians in Jordan were forced to transition from informal to formal property ownership following the 1967 war and Black September. A new wave of Gazan refugees and the victory of the state over the PLO made King Hussein wary of any future Palestinian unrest. The Jordanian government wanted to assimilate Palestinians into society, so it created camp services-improvement committees (CSIC). CSIC members worked with Palestinian sheikhs and businessmen to negotiate and administer formal property rights. Palestinians, however, needed to find a way to protect their property rights without suffering complete incorporation by the state. State police patrols, prison sentences, fines and the imposition of Jordanian courts to settle disputes generated fears within the camps. As a result, Palestinians continued to rely on traditional community values to police property disputes, and only turned to the Jordanian courts as a last resort. Refugee camps in Lebanon underwent a similar process of property-right formalization. Unlike in Jordan, the Lebanese state did not oversee this transition. After being kicked out of Jordan following Black September, Yasser Arafat sought to extend Fatah's influence among Palestinian refugees in Lebanon in order to build up a base of support. Despite its pro-Palestinian rhetoric, however, Fatah exerted control over Palestinian camp life in a way similar to state co-optation. Like the CSICs, Fatah established camp committee (CC) offices to renegotiate property rights with the help of Palestinian community members. Camp residents were generally enthusiastic about Fatah's influence, because it increased their protection while allowing them to maintain their communal identity. As in Jordan, Palestinians in Lebanon relied on family and community members to resolve disputes. However, Fatah encouraged the abuse of sharing resources like electricity and water in favor of politically supportive factions in the camp. This demonstrates the danger of powerful political groups asserting economic control in transitional settings. Hajj's third case study is centered around the Nahr al-Bared camp in Lebanon, a unique example because of its destruction in 2007. 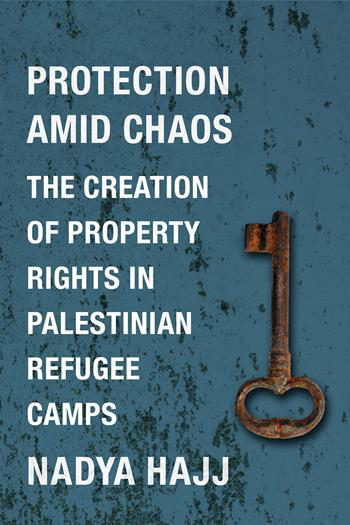 Before the clash that destroyed the camp, Fatah had succeeded in establishing formal property rights for refugees. After the conflict, the Lebanese government planned to reconstruct NBC with a hierarchical military rule that would marginalize the authority of Fatah and the CCs. Once again, Palestinians proved their ability to fight for protection amid chaos. Returning to the new NBC, they took advantage of the ambiguity surrounding property titles to maintain a level of autonomy against state interference. Over the course of a two-year UNRWA-led reconstruction, Palestinians presented their previous title documents to UNRWA and Lebanese military officials to re-establish the blueprint of their former community. After its establishment, Palestinians turned to informal communal enforcement to manage conflicts. Hajj applies the balance between protection and predation found within these three examples to Palestinians currently trapped in war-torn Syria. She says they can learn from the recent reconstruction efforts in Nahr el-Bared, using communal identity and traditions to create stability out of chaos. Hajj was able to conduct six interviews in the Homs refugee camp before the security situation escalated. While these are too few to reveal detailed information, she saw the same pattern of property-rights formation that she observed in Lebanon and Jordan. She suggests that, once the conflict in Syria comes to a close, Palestinians should take advantage of the "validation process" of reconstruction to use their pre-2011 property titles as a blueprint for rebuilding the camps. Hajj's book is an important resource to anyone interested in the formalization of society in transitional environments. Throughout the book, she interjects her analysis with references to other analytical studies that discuss themes of property-rights formalization. These examples are mostly used to present scenarios that do not align with the motivating forces or outcomes in Palestinian refugee camps. For example, Hajj discusses a study of local licensing in the forestry sector of Tanzania to show how a local system of governance ended up raising barriers to entry, rather than easing them. Hajj argues that this does not apply to the Palestinian case in Lebanon; Fatah's desire to consolidate political power allowed participants to maintain a level of autonomy. While these examples help to place the Palestinian case within a more global context, the limited scope of this book does not benefit from comparisons that do not support the case studies. The examples in which formal title practices in Palestinian refugee camps parallel results elsewhere are more illustrative. Hajj's work provides a message of hope to communities struggling to overcome transitional settings. The abysmal nature of refugee-camp life should never be dismissed, but the ability of some communities to foster change based on shared communal identities offers a path to a more sustainable future. Hajj's portrayal of life amid chaos shows "the resiliency of Palestinians in protecting their assets and community in the face of outside threats to the existing camp order."